Marie’s Paradise bed and breakfast in Garrykennedy, Lough Derg Lakelands, County Tipperary can accommodate one booking at a time, they are dedicated to making their guests feel special, little ones and grown ups, Marie’s Paradise are able to offer a total break in the beautiful surroundings and an extra service of babysitting by a professional child minder. The guest’s quarters at Marie’s Paradise consist of a big family room, a double room, a bathroom and a big bright playroom complete with toys, board games, DVD player and lots more. Tea and coffee are served downstairs in the sunny conservatory overlooking the mature gardens and the Shannon. At Marie’s Paradise parents can avail of a professional childminding service, which allows them to take a break, go for a walk, a meal or a trad session in Garykennedy or Portroe villages nearby, both only a 15 minute walk from Marie’s Paradise, or just rest and relax while the little ones are safely looked after. Facilities at Marie’s Paradise include parking on site, possibility of ordering light snacks, laundry service, local information, possibility to organise fishing, hiking or private tours with local providers. Marie’s Paradise is open from all year round and was recently awarded the Welcome Standard by Fáile Ireland for its commitment to outstanding service. 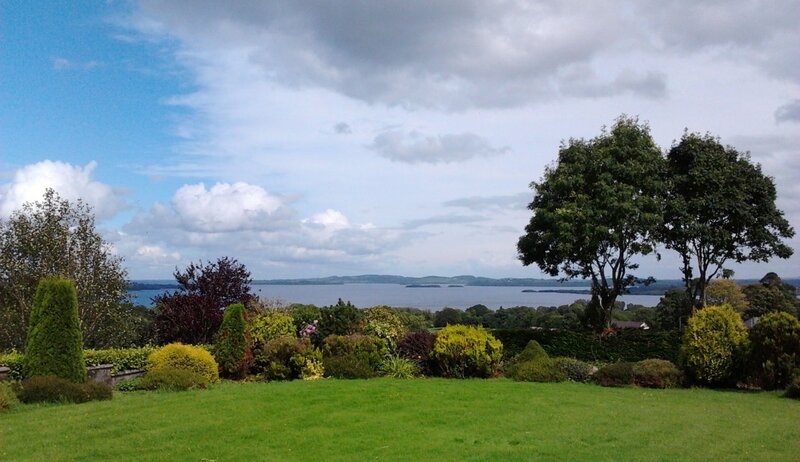 Marie’s Paradise is the ideal place to take a breath of fresh air for a weekend or the best base in the Shannon region to visit Ireland, with international attractions like Bunratty Castle and Medieval Banquets, the Burren, Cliffs of Moher, Lahinch and Galway, all are within easy reach.